www.searchingforreason.net : FEATURE ARTICLES. WHAT PROGRESSIVES MUST LEARN: STAND TOGETHER, OR FALL APART. FEATURE ARTICLES. 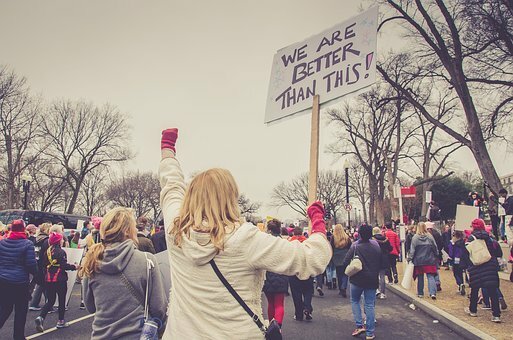 WHAT PROGRESSIVES MUST LEARN: STAND TOGETHER, OR FALL APART. There is one thing, probably more than anything else, that has held Back Progressives from Achieving Electoral Success on a Regular Basis. Care to Guess? It is an Internal, Self- Inflicted Mindset that Conservatives, especially Tea Party Candidates, have used on a regular basis. IT IS THE FAILURE OF PROGRESSIVES AND LIBERALS TO STAND TOGETHER. TO OFTEN, GROUPS THAT PROCLAIM THEMSELVES AS PROGRESSIVE, EXIST AS ONE OR TWO ISSUE GROUPS. THE REASONING THAT LED TO CREATING AND ORGANIZING OTHER LIKE- MINDED INDIVIDUALS TO PASS LEGISLATION AND ELECT SYMPATHETIC CANDIDATES, IS NOT CARRIED OVER INTO OTHER AREAS. It is Astonishing to Listen to a "PROGRESSIVE VOTER", Who sees an Injustice and Wants to Affect a Change in the Law to Remedy this Iniquity, Refusing to use the Same Thought Process if it Deals with an Issue That Doesn't Appeal to Them Directly. Unfortunately, this Lack of a Consistent Line of Moral Guidelines that are NOT UNIVERSAL IN NATURE, SETS PROGRESSIVES AGAINST ONE ANOTHER, AND BREEDS RESENTMENT THAT LEADS TO ELECTORAL FAILURE. I have heard the Argument that concludes with the- "...their not all the same. Social , Economic, and Other Domestic Agenda Issues Deal with Different Problems, and Need Different Solutions." - UNFAIR LABOR OR WAGE PRACTICES. = THE AMOUNT OF JUSTICE YOU'LL RECEIVE. OR JUST AN OPEN DOOR, THAT SOMEONE ELSE IS NOT. WHO IS THE WINNER WHEN THIS HAPPENS?